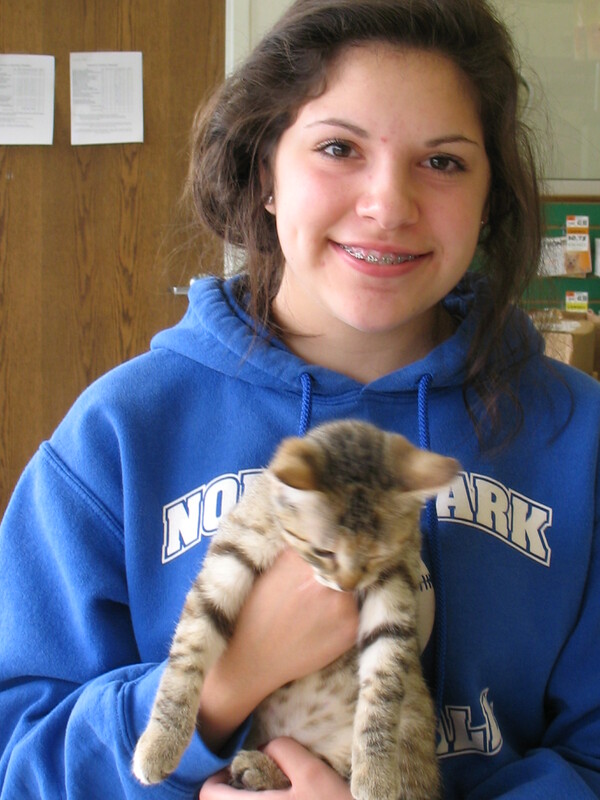 I finalized Jasper’s adoption this afternoon – technically, he was adopted on Sat., but paperwork done today. ~YAY~! Christina filled me in on the latest – Jasper’s laid a new racetrack throughout their house – zooming around at lightening speed. He discovered the cat door into their basement – tentatively poking his paw through it, like he wasn’t quite sure just exactly what it was or where it went. Finally, she saw his confusion or curiosity (I’m sure it was the latter!) and told him “it’s OK!”. I can just picture Jasper doing that in my head – just like he could open the cage doors, reach into cages to scoop up food, etc. So now even more new territory he’s conquered! He sleeps on their bed every night – she woke up the other day with Jasper laying on her head~! I have never felt so happy & sad at the same time…Jasper, our sweet, beautiful black boy has finally found his forever home after being with us for 5 months. Patiently waiting for his person. In the meantime, working his way into my heart so deeply, it’s a bitterwseet good-bye. Jasper’s adoption is hitting me so hard I’m an emotional MESS today! My heart is so full of joy that he’s finally in a loving, happy home & at the same time it’s the hardest good-bye I’ve ever had to face since I started at PSP as Store Coordinator for Ten Lives. I’ve been particularly picky about potential adopters for him – he’s a very special boy & I wanted to make CERTAIN he went to the perfect forever home. 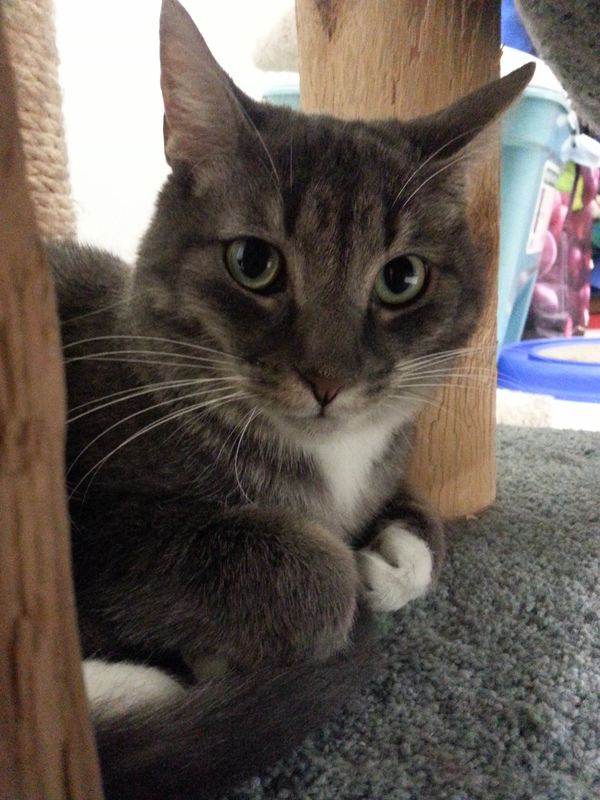 I took him for a home visit yesterday – knowing that they met every criteria – but have a male cat, which has not gone over well with Jasper while he was in the cat room. He was THE KING of the cat room – period. No room for other males, uh uh. 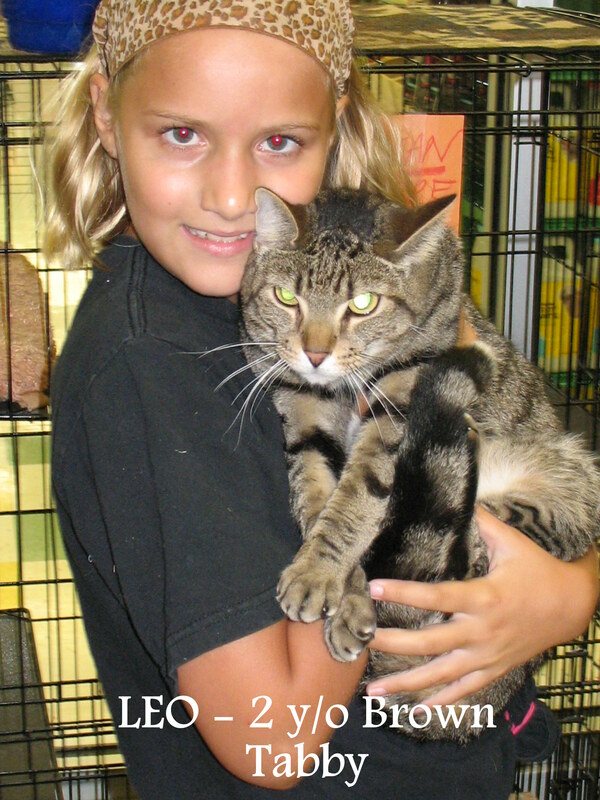 He would get along fine with other adult FEMALES & all of the kittens, but not so well with other males that came to us. This was the test…I had no idea how he would react & prepared myself for the worst. Turns out, the OTHER male cat (who is normally very sweet & mild mannered) was the aggressor. Which would be expected – it’s HIS territory. Jasper, even when being hissed at, kept his cool and was not phased. AT ALL. I was blown away…And very proud of him! That created another issue, however. Would Coleman (their other cat) accept Jasper with time? It was, after all, a trial by fire. You can’t expect 2 cats to automatically get along immediately. It just won’t happen. Or rarely. So I asked if they would like to keep Jasper over the weekend & see if Coleman starts to settle down. The couple happily agreed. Normally, under no circumstances would I EVER do that. 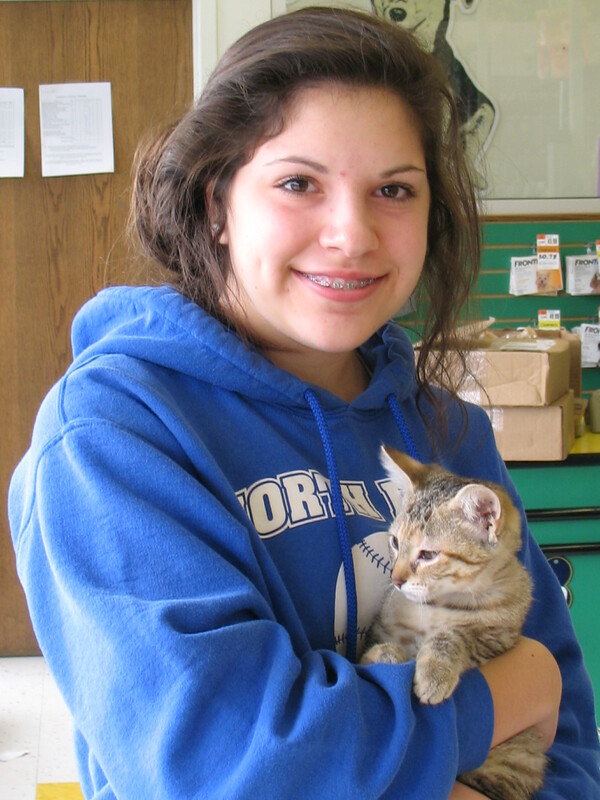 But this was a special situation & I know the woman – she’s a groomer at the PSP store for our adoption location. They couldn’t part with Jasper now – he’s worked his magic on the entire household in less than 12 hours flat…He’s not going anywhere. I just need to say good-bye to him. That’s all. I know he is very happy & in a loving home now. He’s where he’s meant to be – finally getting the forever home he deserves…But he will always hold a very special place in my heart. Sweet LEVI found his furever home today! What a perfect match – Older couple, no other pets or young kids. He’ll get their undivided attention 24/7! The entire time we were finalizing the adoption, he was hugging her with his paws and giving her sweet head rubs. He will be spoiled! We walked around Pet Supplies “Plus” picking out a new nylon cat carrier, scratching post, cat food, litter & toys. When all was said and done, she spent over $100 on supplies and goodies for Levi! Bye-bye sweet boy and enjoy your new furever home! We will miss you! 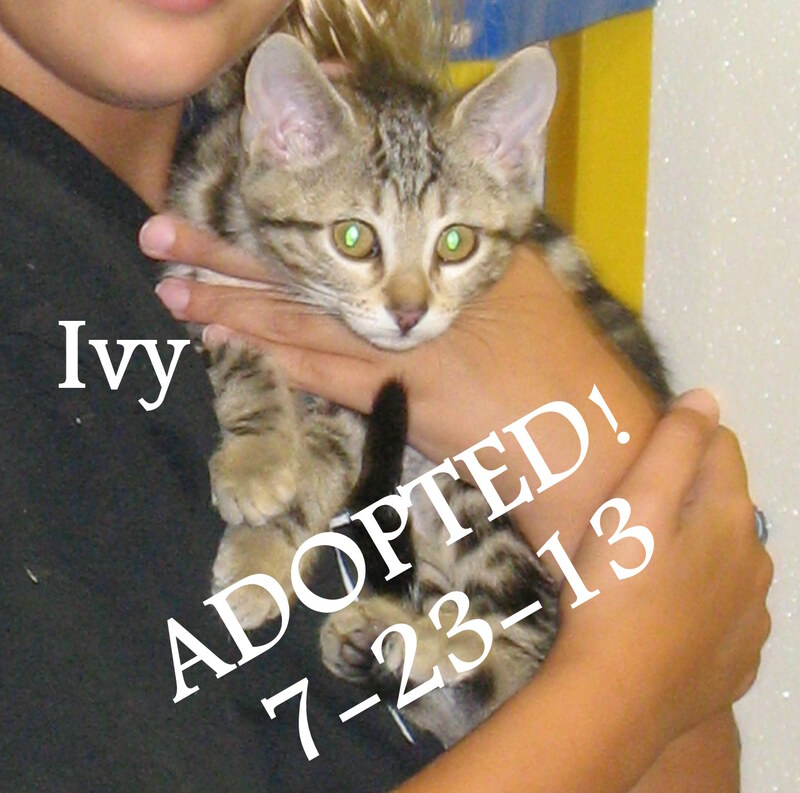 Sweet little Ivy, a 3 month old beautiful brown tabby kitten, went home with her new purr-parents this evening! She will be showered with love & attention! All of our love sweet baby! Wishing you all of the happiness & joy you deserve! 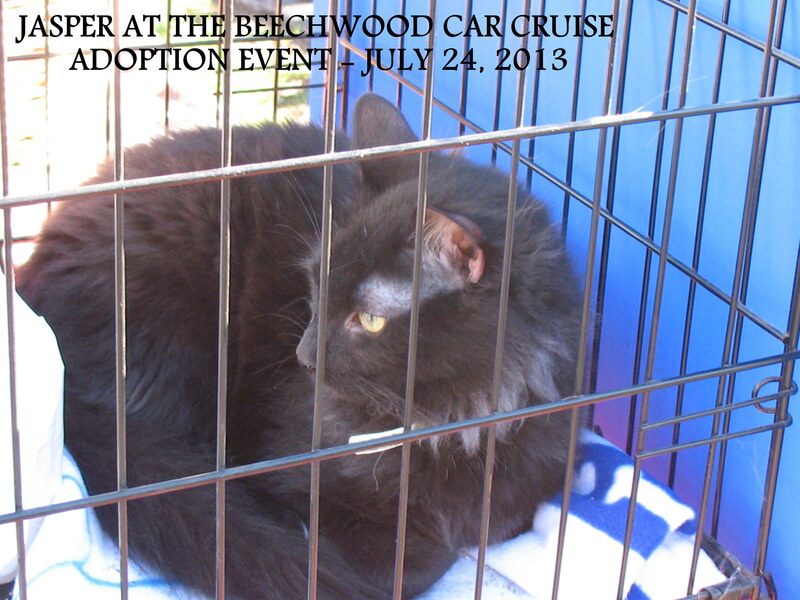 We had LOTS of people stop by to visit the kitties this evening & several VERY interested potential adopters! Jasper was as cool as a cucumber & had many admirers! Jasper came out to visit & was the perfect gentleman! Amy’s daughter made a very special sign just for him too! 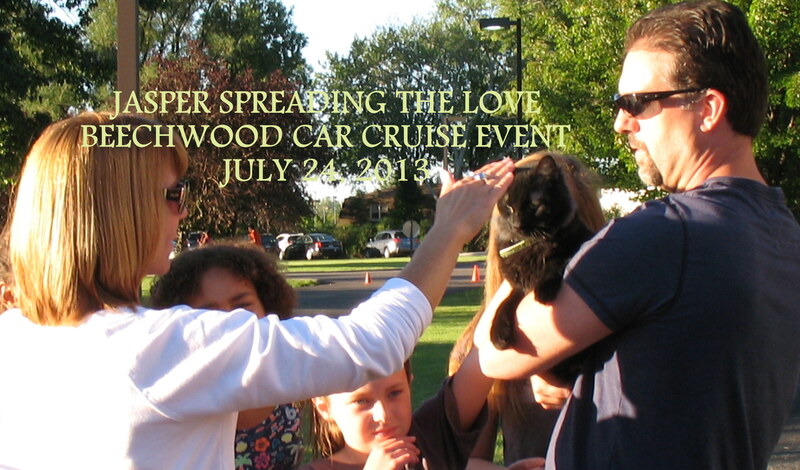 Janine made the rounds with EVERYONE who stopped by – especially Beechwood residents! 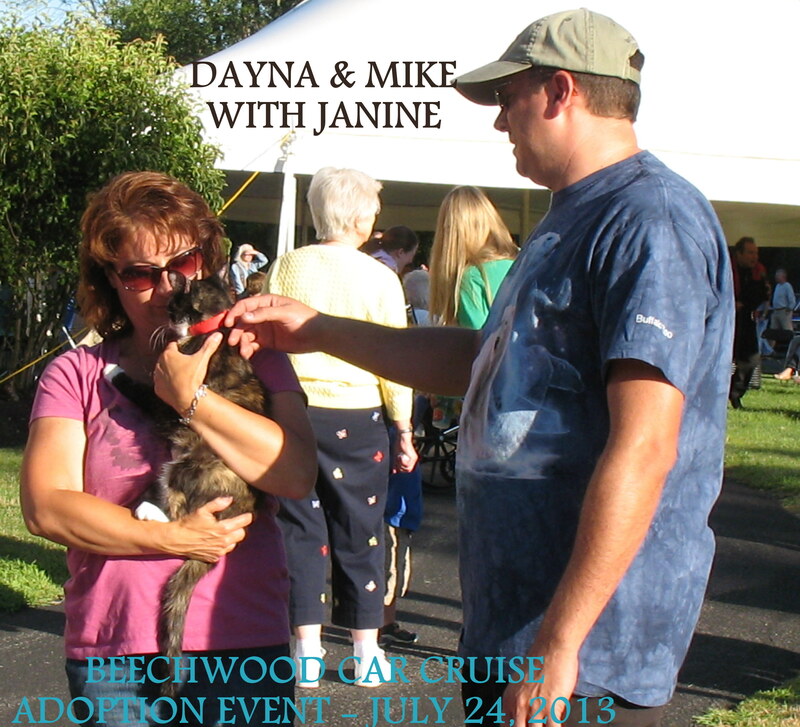 The Beechwood Director of Events, was very impressed with Janine – she may become one of their therapy cats! Wouldn’t that be PERFECT for Janine?? Leo will have a visitor tomorrow – VERY interested potential adopter!! Merlin was a big hit – of course!